DURING the first few days of May 1916, the Durham Pals were able to enjoy some well-deserved respite after the traumas of Easter Week. In their four days in the waterlogged trenches over Easter, 18th Battalion of the Durham Light Infantry had seen one of their comrades killed and several wounded at the hands of enemy snipers and mortar teams. Now, with the weather improving, they were pulled back to the relative safety of Betrancourt, a village several miles back in the reserve, away from the ever-present danger of the trenches. They remained in a hut camp outside Bertrancourt from April 28 through to May 6 to recuperate, catch up on letters home and visit the graves of their fallen comrades buried in the village cemetery. On May 6, they were on the move once more, back to the woods outside Bus-les-Artois. 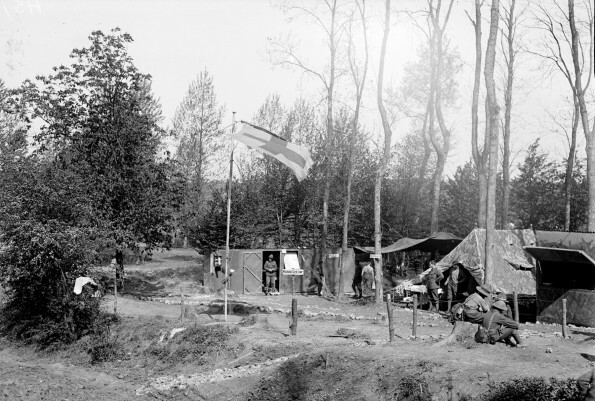 The battalion had been stationed in the woodland camp weeks earlier before they went into the line for the second time and conditions in the sodden forest were so bad that most were glad to get back to the trenches. But this time, the weather was better and the enemy were relatively quiet which meant the Pals could engage in training ahead of the big battle to come.